Paullina Simons is the author of nine internationally acclaimed novels, including Tully. Born and raised in St. Petersburg, Russia, she graduated from Kansas University and has lived in Rome, London and Dallas. She now lives near New York City with her husband and four children. 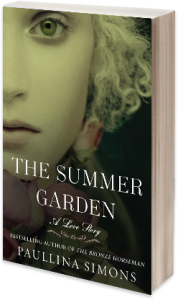 The Summer Garden, the conclusion to her trilogy that started with The Bronze Horseman and Tatiana and Alexander, was just released as a William Morrow trade paper original. Ambitiously six or seven tomes, including the astonishing The Emperor of All Maladies by Siddhartha Mukherjee, but which I can only read in small doses; The Unbearable Lightness of Being by Milan Kundera for the existential skeptic in me; and a re-read of Tender Is the Night for the lovelorn romantic. On its way is My Father’s Daughter, Gwyneth Paltrow’s new cookbook, for the stories about her dad; and also Rob Lowe’s bio, Stories I Only Tell My Friends, just because. The Three Musketeers by Dumas. Everything I know about 17th century France I know from that book and the four sequels that followed. I read it so many times as a kid that I could recite pages–long passages from it by memory, in Russian! Truman Capote, whose In Cold Blood is a perfect book. C.S. Lewis because, among other things, he is so funny. Dostoyevsky because no one is more thought-provoking about the human condition. E.M. Forster because he writes so longingly about love. And Steve Martin for his lucid and personal prose about loneliness; Shopgirl is one of my favorite contemporary novels. The Corrections by Jonathan Franzen, though not that many people care, frankly. I don’t know why I pretend I’ve read it. Never. No, I lie. Cookbooks and biographies I buy on sight. East of Eden by John Steinbeck. I was so desperately involved in it and when I finished, I cried on the London tube. I thought if only I could one day write something that would have one-tenth of the effect this book had on me, I’d consider my life well spent. “Either we live by accident and we die by accident. Or we live by plan and die by plan.”–From Thornton Wilder’s Bridge over San Luis Rey. Forster’s A Room with a View. 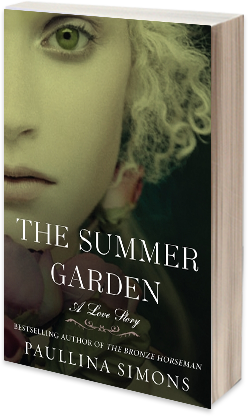 Just so I could re-live her deliciously reluctant falling in love with him.